Looking to get behind the wheel of a sedan so sleek that you become the center of attention everywhere you go? Well, the 2018 Honda Civic does just that, and can be found at Burns Honda serving Voorhees. From the 2.0L four-cylinder to the 174-horsepower turbocharged option, hitting the open road has never been so enjoyable during the morning commute. Although this beauty offers a great amount of power, the Eco Assist™ System keeps it efficient as well, optimizing mileage each trip it takes. The 2018 Civic isn’t just known for its speed, this sedan can also drop jaws with its beauty. Built to please the masses, this versatile model is built with an ample 15.1-cu-ft of cargo space and seating for up to five. Designed to fit a tablet or small bag, the center console is sure to be a top feature drivers will love. As for the exterior, the available 17-inch alloy wheels make this sedan the talk of the town. While these features are mind-blowing, the Honda specials near Voorhees might just be even more impressive. As if the design wasn’t enough, Honda made sure each Civic was stacked with a number of impressive and groundbreaking technological features that are sure to wow even the most tech-savvy shoppers. No one wants to feel disconnected today, especially while out on the road. Thanks to Apple CarPlay™ and Android Auto™, drivers of the EX model can access their music, messages, and favorite apps with ease. Although staying connected is important, remaining safe while doing so is vital. The Bluetooth® HandsFreeLink® and streaming audio ensures drivers near Voorhees remain in-touch and in-control all at the same time. Burns Honda cares deeply about each and every one of our customers, which is why we strive to ensure each shopper gets behind the wheel of a safe and secure vehicle. When entering a 2018 Honda Civic, drivers and passengers can feel at ease and know they are in good hands thanks to the wide variety amount of standard and available safety features. With help from Lane Keeping Assist System (LKAS), Adaptive Cruise Control (ACC), and more, drivers can utilize the available Honda Sensing® suite of technologies to keep them out of trouble. The standard Multi-Angle Rearview Camera is another great feature that gives motorists an extra pair of eyes, which is always needed. 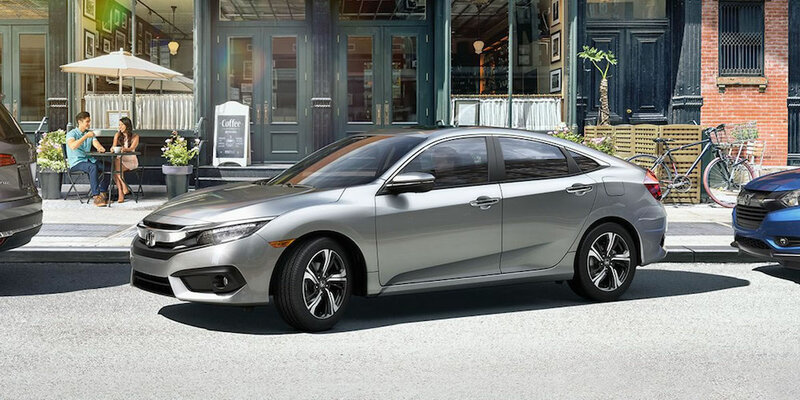 For more information about the 2018 Honda Civic, contact Burns Honda at (855) 571-4863 to schedule a test drive.